The Goalsetter Baseline basketball hoop is the right choice when space is tight and height adjustability is not needed. This 72″ x 42″ backboard stands just 7-1/2″ from backboard to wall. The Baseline provides a narrow profile and is ready for indoor or outdoor mounting directly to any wall with standard wall stud spacing. A structural steel backboard frame increases stability and provides consistent rebound over the entire surface. 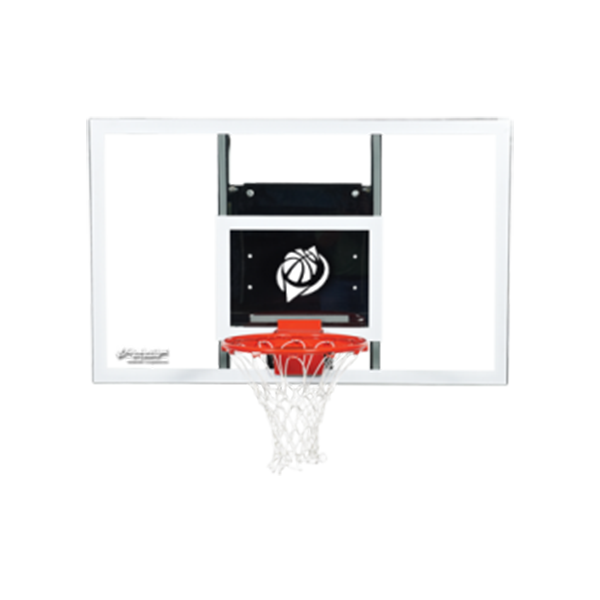 The Baseline goal includes the wall mount bracket, the backboard (select a size), and the rim.